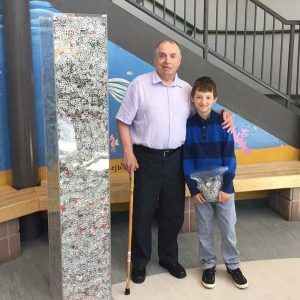 On Friday, June 16th, Chief Rabban, Noble Paul Rose of Mazol Shriners of Newfoundland and Labrador, visited Villanova Junior High to pick up over 65 kg of pull tabs collected by the students throughout the year. This project started several years ago when the Shriners approached various schools asking them to save the pull tabs from their drink cans for recycling. He was greeted by a group of 10 students and their teacher, Ms. Darlene Moulton. The students were also joined by a local resident, Mr. Reg McGrath, who heard about the donation and decided to join the group to add his own contribution. 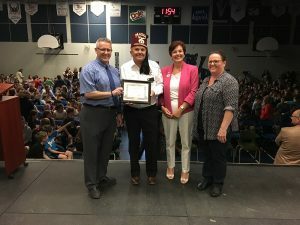 June 22nd, Noble Paul and Lady Sharon returned to the School to present a 100 Million Dollar Club Certificate to Principal Barry Jenkins during Villa Nova’s closing assembly. A packed gym of over 350 students were on hand for the presentation. Noble Paul gave a brief address about Shriner’s Hospitals and what Shriners do for our kids. He thanked the students for their annual donation and wished all a safe and fulfilled summer. We encourage students from all over Newfoundland and Labrador to get involved. It takes millions of dollars a year to operate the 22 Shriners Hospitals for Children. The medical care given through this Shriners Hospital network has cured or substantially helped more than 1,000,000 children regardless of their ability to pay. The money to operate these 22 hospitals comes from several sources. One source is income from the Shriners Hospitals for Children Endowment Fund. 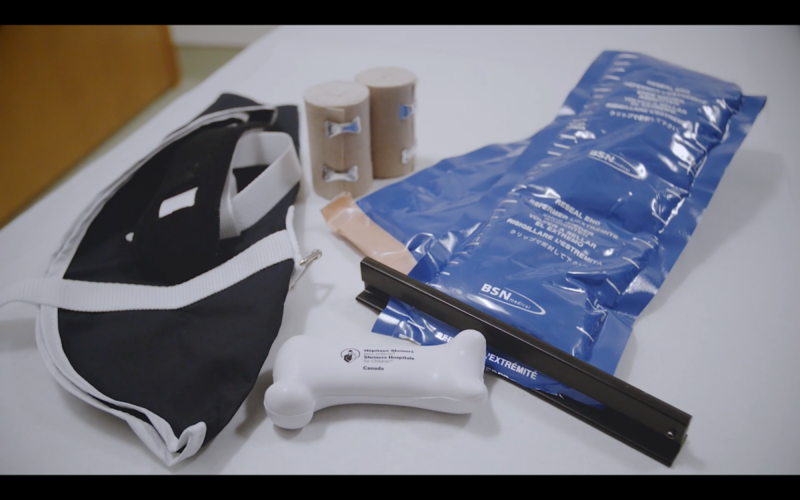 The endowment fund provides approximately 85 percent of the hospitals’ operating income. This fund is supported by the gifts and bequests of Shriners and non-Shriners alike, however, too many people, believe that if they cannot donate or leave a large sum of money, their gift will not count. Obviously, every contribution helps. In order to encourage Shriners and non-Shriners to contribute to Shriners Hospitals for Children, the HUNDRED MILLION DOLLAR CLUB was established in 1972. The club got its name from its goal of adding 100 million dollars to the endowment fund through gifts or bequests of $100 or more. 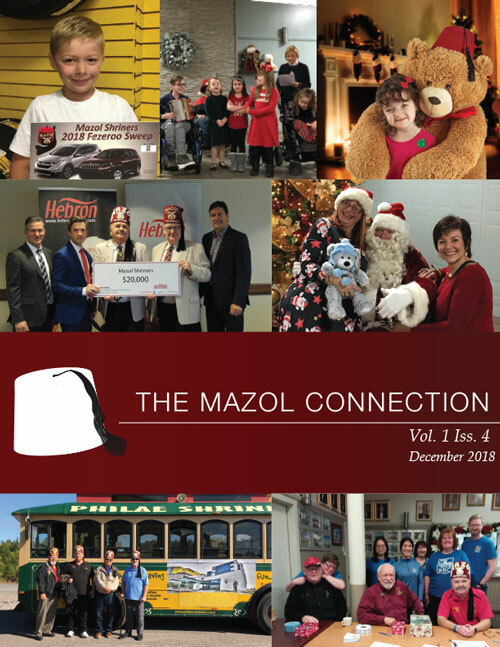 As a way of recognizing the donation by the students of Villanova Junior High, Mazol Shriners has just made a gift to the HUNDRED MILLION DOLLAR CLUB on behalf of the students for their continued work in raising money for Shriners Hospitals. Way to go Villanova Junior High!